When build the project contains new custom form and datasource “CustInvoiceJour” , i encountered error missing module reference for EDT logisticsAddressing. Find the object using search function, then you can see the model reference for that object. After that, update your model parameters and checklist the missing references. The new model that my project referenced to is using Extension Model approach. 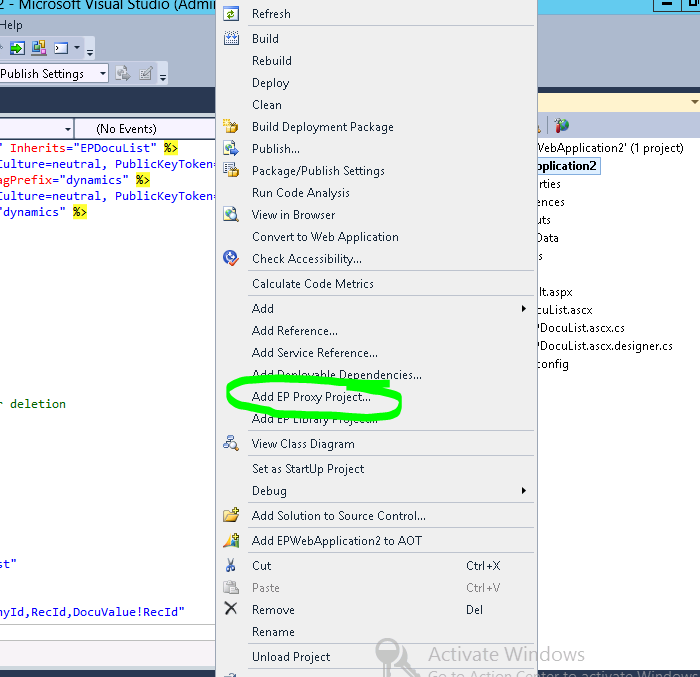 i found this error when tried to edit and build solution for standard web control on visual studio. Right Click on your project and select add EP Proxy Project.